12 role cards on thick, sturdy tiles, 36 Yes/No tokens, 10 Maybe tokens, 1 So Close token, 1 Correct token, and a concise rulebook that will get you up and playing in minutes. 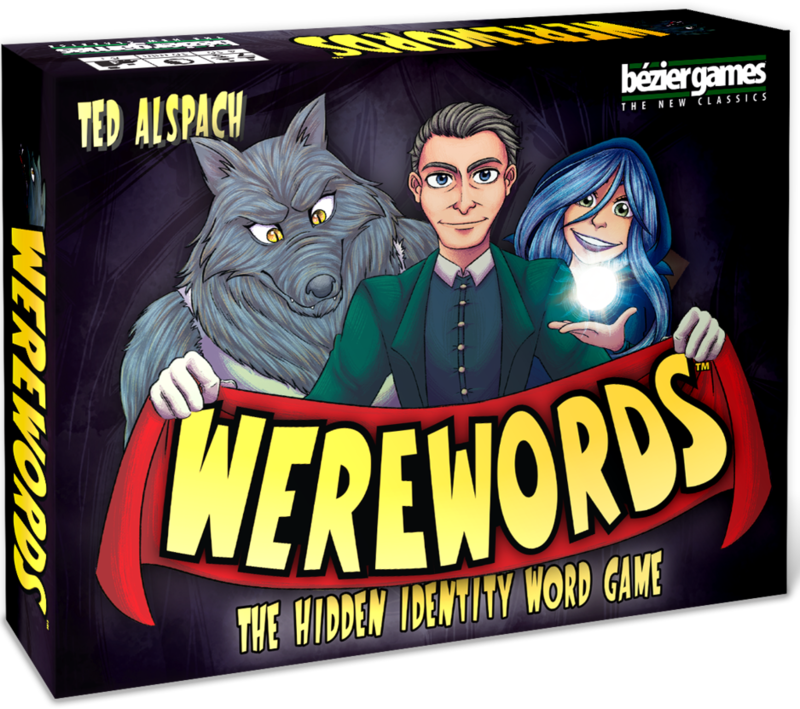 Each game takes less than 10 minutes to play, and players can adjust both the difficulty level of the word lists (Easy, Medium, Hard, or, if you're a little bit loco, Ridiculous) as well as the time allowed for figuring out the word. As each question is guessed, the word-knowing Mayor (who may not speak), must answer every question by giving the asker a token: one of the limited double-sided "Yes/No" tokens (with the appropriate side up), a "Maybe" token (in case the question can't easily be answered with a Yes or No), the coveted "So Close" token, and finally, when the word is guessed correctly, the "Correct" token. But if the Mayor runs out of Yes/No tokens, the village team has to stop guessing, and much figure out who the werewolf (or werewolves, if you're playing with more people) is in order to salvage a victory. Additional roles such as the helpful Beholder and the not-so-helpful Minion provide additional, optional variety for players. One of the things that's unique is the Mayor, who is trying to help out the village...at least that's what you thought... Well, he might also be a werewolf, and he can lie when answering questions to throw you off track! Of course, he can't be too blatant about it or you'll figure it out and vote for him to save the day for the village. Another unique thing is that players can create and upload their own custom word lists into the app, so you can create an NSFW list, a super-boardgaming-geek list, or any other list of words you can imagine!